To attract more investments, the Odisha government has decided to promote ‘Brand Odisha’ by roping in noted marketing communication agency J Walter Thompson. Principal Secretary, Industries, Sanjeev Chopra on Tuesday made a presentation on promoting Brand Odisha in the presence of chief minister Naveen Patnaik. The state government has identified five sectors – downstream and ancillary – textiles, ESDM (Electronic System Design and Manufacturing), Food Processing and Plastics, Chemicals and Petrochemicals as focus areas for investment, the presentation said. Stating that the state has a faster growth rate than the national average, the presentation pointed out that it was rapidly improving on the “ease of doing business.” and that the state has abundant resources and relatively low cost of setting up and running businesses. Odisha Vision 2019 aims for industrial development through manufacturing. It has the objective of 60 per cent increase in the manufacturing sector. Substantiating Odisha’s ambitious objective, it was stated that the state has 18 per cent share in India’s FDI proposals, it is the largest steel producer in India and Bhubaneswar has been ranked as safest State Capital to live in. 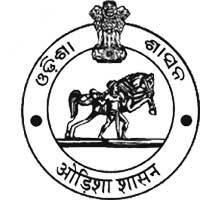 A striking logo is also being designed for Brand Odisha.